The exhibition will propose to address and further develop this inspiration in recent years through film (Stargate, The Mummy Returns, Immortal Ad Vitam, or the highly anticipated X-Men: Apocalypse) but also through comics and comics (Thor, Batman, Mighty Isis, Wonder Woman, the Avengers, Apocalypse, Shazam, Fantastic 4 ...; so many characters of DC Comics franchises, Marvel also Vertigo) or through video games/ board games and role playing games (Age of Mythology, Pathfinder, Deus ...). 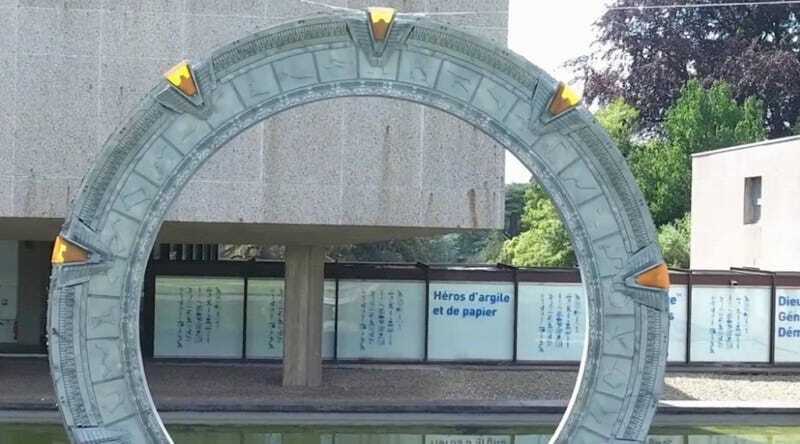 That sounds very cool, but surely no part of the exhibit is as striking as the Stargate portal. Check out the video on how it was made below.